I’m at the National Biohchar Workshop in a crowded conference room in Sydney. A meeting of minds, though not necessarily of the same mind, is taking place. Many address the topic of discussion with what can only be described as a touch of scientific fervour. They are not discussing nanoparticles (per-se), fusion, the cosmos or one of a number of environmental imperatives. Their research efforts are devoted to a type of black soot that gets all over your fingers, clothing, and face, a feature that is useful in sketching. Scientists have named it Biochar. An agronomic miracle worker in the making and a tremendous carbon capturing opportunity. This is unquestionably one of those situations where a once dismissed by-product becomes the new material at the centre of attention, with possible applications in multiple fields, from climate mitigation to soil rehabilitation and waste management. The academic story of biochar begins in Amazonia, Brazil, among the artefacts of ancient local tribes, their houses and middens. It was here in the mid 1950s that Netherlands born Wim Sombroek, an already noted soil scientist, explored and reported on the unique soils known as Terra Preta or ‘Dark Earth’. 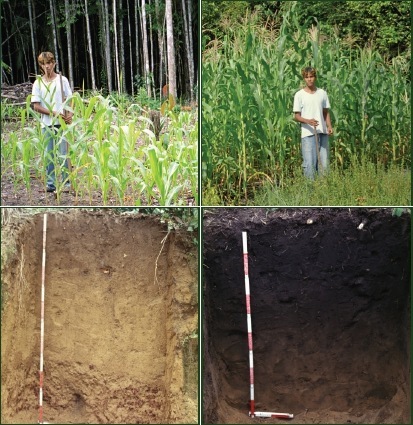 You may be surprised to know that the soils of the wet tropics are quite nutrient poor. Nutrients are washed out regularly due to the high rainfall of these climates. So it was with tremendous excitement that, on visiting an excavated site bounded by the standard Acrisol soil horizon, Sombroek and his team came across a soil rich and dark, firm and crumbly, and full of nutrients and soil microbes. The soil was dark to a depth of six feet. Crops were still being grown in and around the site by local communities, despite the soil being aged up to 1500 years. It seemed that the waste disposal practises of these tribes had created a perfect blend of biochar for their purposes. In particular, they tended to mix their old pottery, bones and mineral scraps with their organic waste, perfect ingredients for pyrolysis. Ever since this discovery, researchers have struggled to recreate the effect with the same success and reliability. Pyrolysis is the well established process of making regular charcoal. This is simply heating something in an oxygen limited environment and capping the amount of oxidation and combustion that can occur. Ceramic artists do this all the time using a kiln to set their clay creations. When you pyrolyse something organic, there are three possible products, and they depend largely on the temperature you heat to, and how long you heat the material for. Some other factors include the heating speed or ‘ramp rate’, the material size of the material particles, and the amount of oxygen you use. Graphene: From left to right, as temperature rises, aromatic carbons start to arrange into spiraling sheets, and with overheating, form graphite. The sweet spot is in the middle. The first products from the Pyrolysis process are volatile gases (including methane), produced with fast heating at high maximum temperatures. Energy producers often burn these products as a source of energy, or use them to make liquid fuels. The second product is liquid (tar), produced at low temperatures with fast heating, it is used to make liquid fuels that are often used in transportation. The final product is a solid material charcoal. Biochar is best produced at slow heating rates, with a slow throughput of material, at temperatures less than 700oC. To the layman, it looks a lot like regular coal. But it is distinctively crumblier, grainier, and less crystalline at the macroscale. In fact the microstructure is slightly ordered graphene, very different to coal. Graphene is to the materials science community as kale smoothies are to your fitness freak neighbour. It’s a tremendously functional material with conductive properties, good at bonding with organic functional groups, and facilitates an open pore structure. In the Eveleigh Carriageworks conference room, presentations are starting. A leading researcher in the field, Dr. Stephen Joseph, quickly summarises the most recent developments in biochar research. As he explains, we now know that properly engineered charcoal, or biochar, has a number of unique properties. It is highly porous and nano-pores are likely to be the main site of nutrient retention and water storage. Yet it is also an excellent filtration product. And somehow the toxicity of the original material is reduced during the process – this is yet another benefit. It also turns out that depending on the mix of mineral and organic components, you can tailor a biochar to attract a particular microbial community. Yes, that means your next corn crop can be inoculated with the microbes that live in symbiosis with it. It’s great news especially for organic farmers. Dr Joseph raises some key questions. What is the best way to market this multi-faceted product? Do you try and capitilise on all of its beneficial properties, or do you drive home its key benefit, as a soil remediant and a carbon capture mechanism? Also a problem, he goes on, is the coordination of standards for production and characterisation worldwide. Afterall, one person’s whiz-bang biochar is another’s soot, and nobody is going to buy something they can’t prove isn’t soot – standards and marketing are very important and underdeveloped. However, the toughest question turns out to be: just how does biochar ‘happen’? Even now, nobody fully understands why, when you pyrolyse organic and mineral waste together, you attract such a diverse wealth of soil microbes, and exactly how the nutrients get bound up in the charcoal, or even how the whole thing holds together, sometimes for millennia. I sit relatively quiet in the room. At this moment the discussion moves again towards where to drive new markets. How to make the development of this material industry led. My own research work would seem out of place here, but in fact it is central to answering that final question. 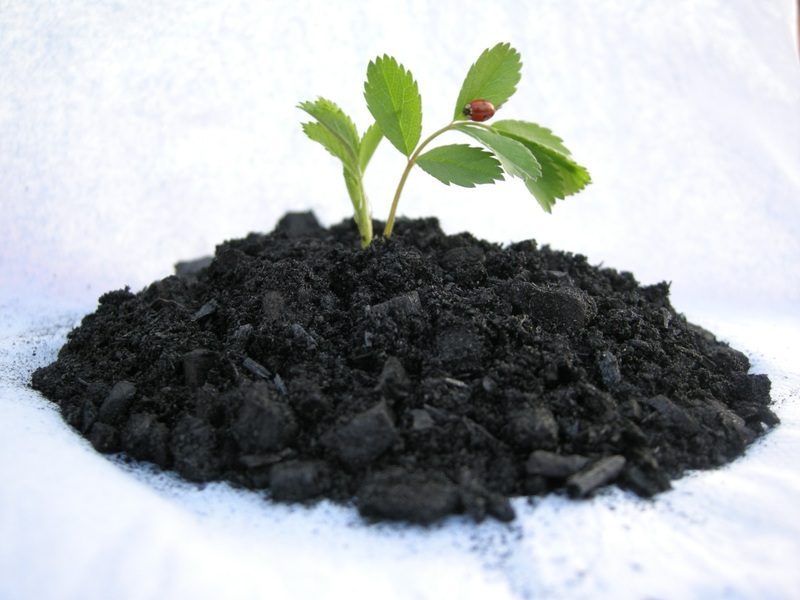 How does biochar work? Without this answer, we can never confidently say to the next potential investor, this product will achieve measureable outcome‘X’. My research tries to characterise mineral enriched charcoals, much more basic than Terra Preta, and work out their physical and chemical structure as a function of heating temperature and the choice of starting material. Using electron microscopy, I can zoom up to 500,000x, and physically observe the crystal lattices of a mineral, allowing me to identify what they are, and whether any reactions are happening at the organic/mineral interface. 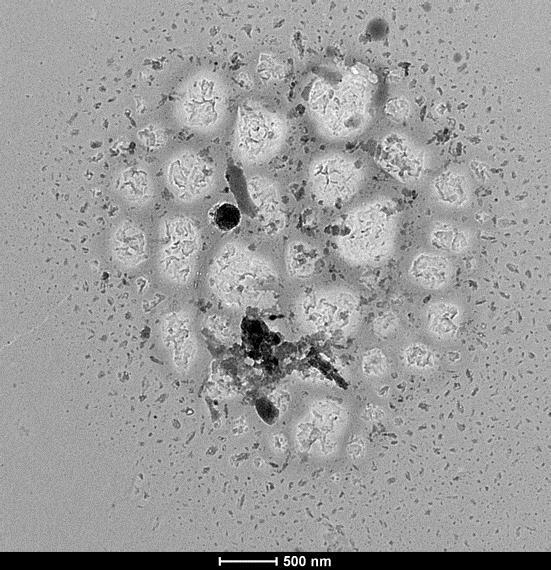 Transmission Electron Microscopy image of biochar pores, with nano-scale mineral deposits (dark) sitting firmly inside, becoming blurred with the overall structure at the boundaries. Not an easy road out. There are a number of theories floating around about what actually happens here. Some say that the nano pores form an oxygen starved environment, where only microbes that can respire with nitrogen can thrive. Others speculate that small pores and tubes formed out of tiny chemical reactions form perfectly protected microhabitats for a range of microbiota. And there is even a suggestion that the tiny tubes or ‘pili’ as semiconductors, driving the reactions that mineralise sources of nutrients into a form available to plants, when necessary. The uncertainty means that every acronym-laden lab technique from XRD and LA-ICP-MS to Py-GCMS and SQUID is being thrown at this unsuspecting material, to work out its secrets, both how it is forming, and the exact nature of the final product. My own observations seem to indicate that some of the silicon derived from plant material may react with organic functional groups to form new inorganic phases, essentially tiny crystallites of new clay particles that are much more nutrient rich than your standard Acrisol. But much more testing is needed on a substance as variable as biochar. Answer: Put it in the ground. Formation Kinetics and Characterisation of Mineral Enhanced Biochars. His main supervisor is Paul Munroe, the Head of the School of Materials Science. His co-supervisor is Thorsten Thomas from the School of Biotechnology and Bimolecular Sciences (BABS). Dr. Stephen Joseph, a biochar specialist also acts as a supervisor. 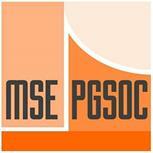 Ben is on the Materials Postgraduate Society (PGSOC) committee, and is often busy coordinating both informative and fun events for postgraduate and research students. . When not thinking about biochar or organising PGSOC events, Ben can be found playing cricket or flexing his green thumb.